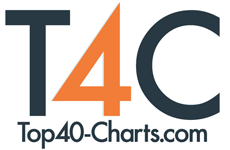 New York, NY (Top40 Charts) Tal Wilkenfeld, the Australian-born, LA-based musician who has recorded and toured with several legends including Jeff Beck, Prince, The Allman Bros, Mick Jagger, and Herbie Hancock, is branching into new territory as a singer/songwriter and producer with big plans for 2019. "One of the best songs I've heard in years. It's mesmeric, and I just love the sheer poetry of it all, the lyrics are spiritual and searching. A jewel, truly." - Pete Townshend on new single "Under The Sun"
Ava Max Claims Her First No 1 On The UK Singles Chart With "Sweet But Psycho"
The O2 Has Had Another Record Year! Coco Street & Laladee Present Two New Tracks For Free Download!